As experts in Web Design Brisbane and Australia-wide, we often encounter the question of ‘how much is too much’ when it comes to scrolling? It may surprise you to learn that most users spend approximately 80% of their time looking at information above the fold and only 20% below the fold. Firstly, let’s make sure we’re all on the same page (pun intended); when you open a web page everything that you can see without having to scroll is called ‘above the fold’, everything below that is, unsurprisingly, ‘below the fold’. Users that are on the hunt for information tend to rely upon what is above the fold to decide if a site is going to meet their need. Even those that are more willing to scroll assign less value to information further down the page. How Does This Impact Web Design? From a design perspective, this is huge – as web design Brisbane experts, we’d suggest that you keep your pages shorter and to the point. I’m sure we’ve all seen sites that are effectively one long page; they’re easier to design but if users don’t like them, what’s the point? A combination of limited attention span, a basic reluctance to read any extra words and a preference for doing less work (scrolling) means less is definitely more. In saying that, scrolling is still a better option than fragmenting a page. Forcing the user to make a decision (“Is this interesting enough to justify clicking through?”) is more dangerous than making them to scroll. How Does This Impact Content Design? In terms of how you put your content together, it means that you’re always going to put your most valuable content at the beginning. It sounds counter-intuitive, I know, but the best way to get your reader to keep reading is to give them what they want to know upfront. Information provided above the fold is more likely to attract and retain the users attention. Traditionally, we’re taught that an article has a beginning, middle, climax and (hopefully) a conclusion to wrap it all up. By writing in this way, you are less likely to keep your readers attention, instead, try using the inverted pyramid style of writing that is commonly used by journalists. As seen above, this style focuses on getting the critical information to the reader ASAP. By doing this, you ensure that even if your user doesn’t scroll, starts skimming or goes to another page, you’ve told them what they need to know. 80% of your users attention is going to be on information that is above the fold, put your critical info there to grab their attention and entice them to keep reading. People will scroll if the layout encourages it and the information they first looked at encouraged them to believe it was worth their time to do so. If your user makes it to the bottom, the recency effect shows that the last thing that users read will usually be well retained, so don’t forget to put some great info at the end as a reward for reading that far! 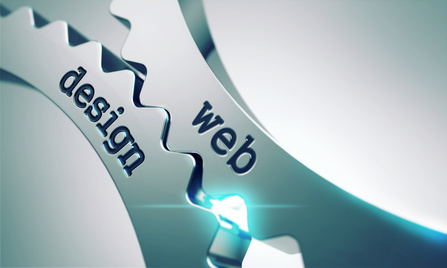 Looking for great web design Brisbane? Contact us today and let us help you design and build your online masterpiece.